This month our membership had the opportunity to tour one of our own member, Martin Cizler’s, projects at 40 Ocean Course Dr. on Kiawah Island, followed by refreshments sponsored by Brombal Windows and Doors. The tour was immensely enjoyed by all, especially the incredible views from every room of the home. Our September CRAN Membership Meeting sponsored by Andersen Windows and Doors was held on Dewees Island. It included a talk and tour of the island led by Judy Drew Fairchild, a local resident and Coastal Master Naturalist. Members received one CEU for her presentation on the sustainability and construction requirements on the island. 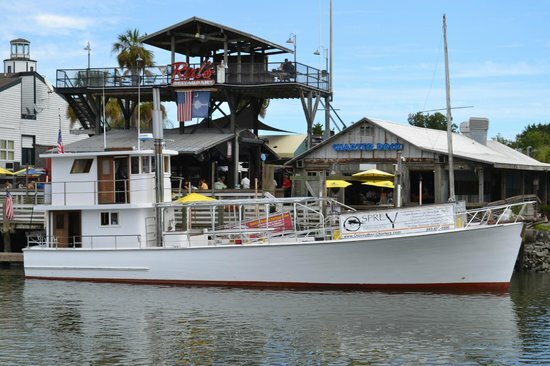 In late July, Marvin Windows and Doors sponsored one of CRAN Charleston’s favorite events – the annual boat cruise. Please enjoy these photos of the great time had by all. Interested in joining CRAN in 2018? Interested in joining CRAN in 2015?